One of the most important aspects of local SEO is ensuring that your business data is accurate and consistent across as many reputable online directories as possible. Unfortunately, this is easier said than done in most cases. Agencies have many options like Yext, Brightlocal, or partnering with a reseller like UpCity to provide more robust local listing services to their clients, but first you need to sell the client on local SEO. 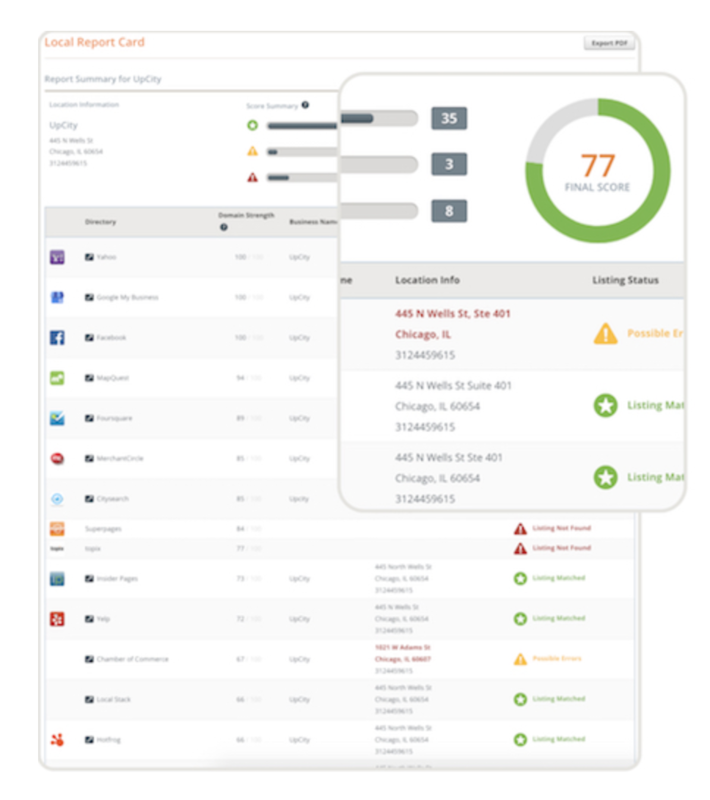 With the Local Report Card sales tool, you can quickly and easily run a check on a client's current local presence across 40+ directories. In order to run a report, simply fill out the NAP (name-address-phone number) information for the business you'd like to check and click Run Report. It's really that simple!